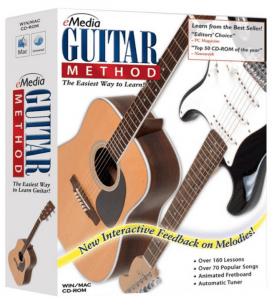 3. eMedia Guitar Method (Download 10 Seconds From Now! What if you could combine the two into a Guitar Learning Software? Wouldn’t that be the fastest way to learn guitar? Our brains love solving small puzzles and winning. We mastervideo games in minutes. Four-year-olds can run friggin iPhones. Furthermore, software track our progress in a very specific, visible format with clear objectives and achievements. Learning, in and of itself, becomes something visible. They call it “Gamification” and it is a mind hack that is studied by the top universities and software developers. But we don’t need to wait for them to publish more papers on how “Gamification” helps us learn. All you need to do is to grab one of these programs, plug in your instrument, and start playing. There are people who have spent hundreds of dollars on private training and instruction. And then they give up. At $25 per half-hour, it doesn’t take much to run up quite the tab. The right, $70 software could literally have taught them as much — if not more — in under a week. Note: It’s not as much fun as a learning software, but Guitar Tricks’ online lessons is one of my favorite ways to learn guitar. 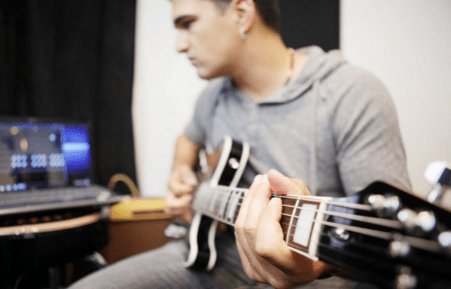 With video lessons for every skill level and a structure that lets you choose your own learning track and progress at your own pace t is one of the most successful ways to learn guitar. They even offer backing tracks for practicing your favorite songs. Whether you are a newbie learner or you want to hone and enhance your already existent skill set with something a little more exciting than instructional DVDs and books or weekly lessons. Rocksmith is the best guitar leaning software for enjoyable learning. Over 3 million people have enjoyed furthering their musical interests with this powerful and entertaining, yet practical way to improve your abilities. 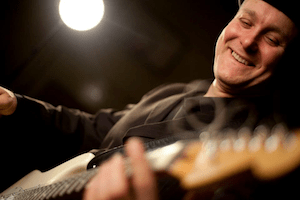 Whether you are a beginner or a seasoned guitarist, this method is guaranteed to take you to the next level is just 60 days. 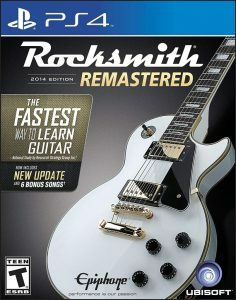 This all new edition of the popular Rocksmith, the method has been completely revamped to provide you with a more polished learning system and is now ready to give you a better, bigger and faster experience than ever before. You will find upgrades such as enhanced response times, added flexibility, in-depth practice tools, navigation that is much more user-friendly than ever before, original tuning and technique options and much, much more including more than 50 popular new songs to jam along to. You will also discover the options to put together your own virtual band in Session Mode by selecting from a range of instruments and styles that will support and follow your lead. Learn, improve and enjoy jamming with motivating objectives and on-screen prompts in Session Mode. Choices from the hit song list include a wide range of pieces that cover from classic rock to heavy metal and alternative rock. Each piece is designed to help you learn note for note, with easy to follow step by step tutorials. If you happen to be one of the many guitar players who has enjoyed benefiting from Rocksmith since the original edition, you will be pleased to find that this newest edition is backward compatible with the song selection found in the original method. This version is also compatible with the original Real Tone Cable allowing you to easily and quickly hook up the guitar of your choice into a Playstation, Xbox, Windows, or Mac to optimize your playing experience. During your setup and practicing experience, you will find that Ubisoft offers a great technical support team available to help you with any issues you may come across. These phone agents are available Monday through Friday, 9 am to midnight Eastern time and 12 pm to 9 pm eastern time on weekends. If you prefer to submit a request online you can easily do so and the company will reply to you shortly via the email address you provide in your submission. This is the most video-game-like guitar course where you plug your guitar into the program and provides real-time feedback. If you are looking for software that plays like a video game, I think that this would be the best course for you. 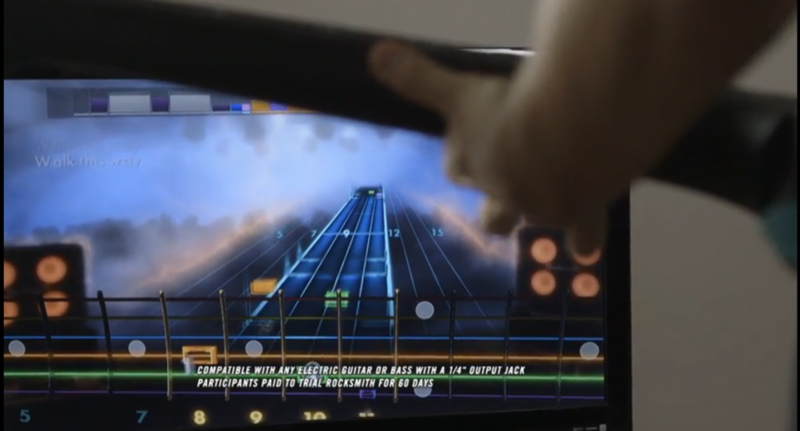 Note: The product package says “Rocksmith 2014”. Don’t let that turn you off. This program is as good as ever!!! Are you looking for a fast and easy way to learn that won’t break the bank and, even better, is available in the privacy of your own home and on your own individual schedule? What if you could turn your iPad, Mac or PC into your very own personal trainer, there whenever and wherever you need them to help you achieve your goals and dreams in an effective and enjoyable manner? Look no further! Unlike book or video methods, Rock Prodigy provides you with an interactive experience that will have you playing along to your favorite riffs and tunes in no time. Their innovative, immersive method lets you see and hear the sounds that you are working to achieve and meticulously guides you through well thought-out lessons. It won’t leave you guessing but instead provides you with instant feedback after listening, recording, evaluating and tracking your progress to effectively improve your performance in every session. Rock Prodigy is not only extremely simple and easy to use but this method takes learning to the next level by creating a highly enjoyable and fun experience. It shows you the proper notes and timing to play, listens while you repeat and then applies a point system to award you for every correct move. To make it even more effective, the program allows you the comfort and advantage of learning on your own personal instrument. Simply put, the method records you through a standard microphone for acoustic guitars on your device (PC, Mac or iPad) using their polyphonic pitch recognition software, allowing it to assess your practice and provide the needed feedback to enhance and hone your playing skills. Or, if you are working with an electric guitar, the standard line in and a common adapter is used to achieve the same goal. This method is extremely user-friendly and provides you with a wide range of ways to further customize your lessons and learning experience. Not only are you awarded points for correct play but you also receive an overall score that allows you to not only see your accuracy level in each exercise but also, if you wish, to see how you compare to others in the same activity. You are given the flexibility to revisit lessons as often as you want, adjust the speed on the exercises and then loop them to play at your desired speed and in your desired order, adjust settings for continuous play or to pause if/ when you happen to miss a note, and many more options to make each usage as comfortable and unique as possible to best suit your individual needs while learning. All of this is presented in video game format while effectively teaching you real-world proficiency in scales, chords, technique, rhythm, and theory. This software allows you the opportunity to learn in the comfort of your own home from highly trained and professional teachers that have earned their way to being some of the world’s best at what they do. This method comes highly recommended and won’t disappoint its users. This method offers an easy to use, downloadable lesson plan that will give you simple to follow steps for advancing your music playing skills. Over the course of 180 comprehensive lessons, you will learn basics and continue to improve areas such as melody playing, finger picking, and chord strumming. In this latest version of the method, you will find enjoyable learning and practice tools such as 70 plus classic and new hit songs to play along with from such influential musicians as Steve Miller, The Rolling Stones, Bob Dylan and many, many more. This best-selling cd-rom for beginners features and includes multitrack audio, an animated fretboard, and variable speed MIDI as well as very useful and effective tools like interactive feedback, a dictionary containing 250 different chords, a recorder, an automatic tuner and a metronome. As each song plays, you can follow along visually as the finger positions are displayed on the animated fretboard, which also supports left handed configuration. You will find that the audio and video have been significantly enhanced as well as enlarged screens, split screens and hand close ups for easier to read formatting. You can further customize your animated fretboard for more pleasing aesthetics with a variety of different skins. You can also revisit lessons as you desire for needed repetition until you are comfortable with the material. This method not only provides wonderful practice but also covers a good amount of theory. The added emphasis on Guitar Chords and Music Theory makes this an excellent course for adults and advanced players. It also teaches guitar tabs and shows you an animation of where you are playing so you can correct problems. Compatible with Windows and Mac. This system is a wonderful and affordable way for beginners to get established with some basics before investing both the time and money on regular lessons with a private instructor. There are so many high quality video lessons available including Guitar Tricks, Yousician, Jamplay, Artist Works, Fender Play and more! What sets these three guitar software programs apart is that they truly are a software you can download (or buy a disc for) and work with offline and on your computer. 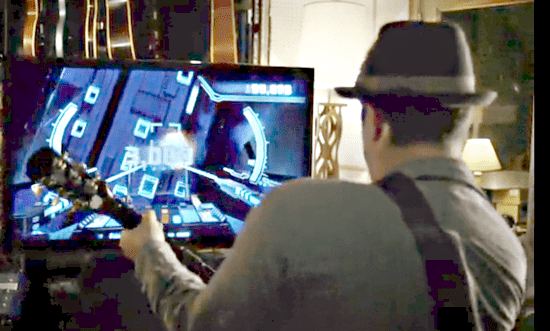 Even more importantly, software like Rocksmith lets you plug the guitar in or use a USB mic to get instant feedback on your playing. It’s this type of leveling up and gamification that can make these software programs better than just working with a guitar teacher (real or virtual). Of course, to truly become an advanced player, you will want to have a structured study of chords and music theory. I find that these software programs work well alongside one of these online guitar lessons. It is really hard for the adult learner to take on a new learning experience. Let’s face it, we are afraid to fail. We are afraid to ask questions, and we dislike being uncomfortable. Software removes a lot of that. You see, you can practice something 100 times incorrectly in the comfort of your bedroom — and actually do more harm than good to your progress. With software, you can see exactly where you are making mistakes and correct them. But without those roadblocks of embarrassment that we adult learners face when paying for private lessons.